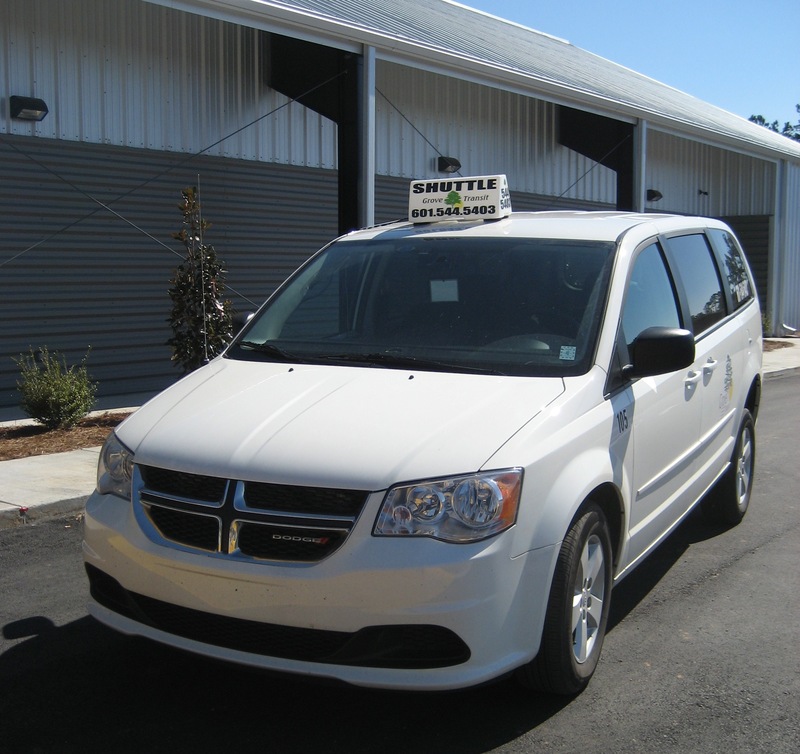 Our new late night shuttle offers services to individuals in the Hattiesburg area Thursday thru Saturday nights. 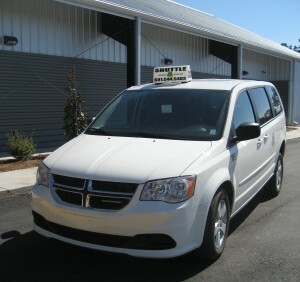 We provide pick up and drop off services within the greater Hattiesburg area. Call us anytime (601.544.5403) to schedule trips in advance or for same day service. We have a dispatcher on duty 9 pm-3 am for your convenience, no appointment necessary, and we will arrange to have one of our friendly drivers there to pick you up and take you safely to your destination. Flat rate of $9.00 anywhere in Hattiesburg + $3 for each additional person. Additional fees for fares to Camp Shelby and certain parts for Oak Grove, Petal and surrounding areas. Groups of up to 14 individuals can also hire our bus for transport. Ideal for church groups, senior organizations and other civic groups. Our bus is equipped to handle wheelchairs. Grove Transit also offers our bus and other vehicles available for hire for to church and senior groups for trips to the Coast, New Orleans or other surrounding attractions. Call for pricing on specific trips. Contact us to schedule a trip or for pricing on a bus charter.